Last update of this document: Januray 5, 2019. Programming at Computer Department of Shiraz Petrochemical Company, Summer 1997. Shiraz Petrochemical Company . Shiraz Petrochemical Company By Name . Thanks to Dr. Dastgheybifard for recommending me to the company. Working at Fars Electricity Distributation Company as programmer and maintainer, Summer 1998. Fars Electricity Distributaion Company . Other activities will be added soon. They are added to my Farsi CV, and I will add them to English soon. preparing a software for automatic verb derivatives stemmer in Persian without dictionary. Automatic detecting and stemming derivations of Arabic triliteral words in Farsi. A survey of centralization in information technology in Iran. Automatic graph construction of CorCor molecule and computation of its Wiener index. Design and implementation of an interpreter for the Persian programming language ParsPL. "Design and Implementation of Status of Contracts of Electricity Distribution of Ghom", By Assistant of Mahdi Chehreghani. From 19 February 2013 to 14 September 2014. Address of Ghom Electricity Distribution , Address of Ghom Electricity Distribution by Name . Thanks to Mahdi Chehreghani. "Desing and Implementation of Website of Sanaat Sadr Sepahan", By Assisstant of Mohsen Soleimani SheikhAbadi, Mojtaba Hashemi, Saeed KazemiPour. From 22 June 2014 to 27 December 2014. Thanks to Mohsen Soleimani SheikhAbadi. "Design and Implementation of Production Control System" for Nouri (Borzouyeh) Petrochemical Company – Pars special economy zone – Assalouyeh- Bushehr Province. From 20 March 2016 to 14 September 2018 (Actually it started at 21 March 2014). Map Nouri , Map Nouri By Name . Thanks to Jaafar Evazi, head of Computer department of Nouri (Borzouyeh) Petrochemical Company. ActiveX. Ahmad Yoosofan, Mohsen Biglary. 2009. Yoosofna, Ahmad; Elham yousefian. Clustering provinces in Iran Based on Digital Divide Metric Using the K-means Algorithm. Soft Computing journal. Vol.1 No.1 PP 32-45. 2013. Page of CPIBDMUKA2013 , PDF of CPIBDMUKA2012 . Yoosofan, Ahmad; Namazi-Fard, Mostafa; "Automatic Graph Construction of Periodic Open Tubulene((5,6,7)3) and computation of its Wiener, PI, and Szeged indices". IJMC (Iranian Journal of Mathematical Chemistry). Vol 3, No 1. February 2012. Page of NJIMC2012 , PDF of NJIMC2012 , RIS of NJIMC2012 , BibTeX of NJIMC2012 . ابراهیم‌زاده،‌دانیال؛ ملااحمدی، محمد؛ یوسفان، احمد. «استخراج باهم‌آیی‌های دوتایی و سه‌تایی از پایگاه داده بزرگ بایگانی روزنامه همشهری». دومین کنفرانس ملی محاسبات توزیعی و پردازش داده‌های بزرگ. آذرشهر(آذربایجان شرقی): آبان ۱۳۹۵. A`.` yoosofan and A`.` Ashrafi, “Calculation of Wiener index for some single-wall carbon nanohorn,” The 2nd conference and workshop on mathematical chemistry (SCWMC 09), Kashann , Iran: 2009. یوسفان, احمد. “بررسی تعدادی از عامل‌های تشدید کننده تمرکز گرایی در فناوری اطلاعات.” اولین همایش متخصصین برق و کامپیوتر. دانشگاه شهرکرد ، ایران: مهر ۱۳۸۹. یوسفان، احمد؛ علیزاد، حسین و اعرابی، مرجان. «پیاده سازی سامانهٔ یکپارچه رأی گیری الکترونیک و کنفرانس مطبوعاتی برخط نامزدها در شهر الکترونیکی به کمک flash media server». دومین کنفرانس شهر الکترونیکی، تهران ، ایران: 1388. Head of Computer Engineering Department of University of Kashan. From 2008 to 2016. Member of Council of Virtual and distant Education of the University of Kashan. From 2009 to 2016. Organizer of the First Election of Syndicate of Faculties of the University of Kashan. Fall 2014. Unofficial advoisor of several companies and committes all around Iran. TA of Fundamental of programming, Advanced Programming, Object Oriented Programming and Operating systems When I was BS. Student under supervision of Dr.Towhidi. Advisor of 3 Ms students. Supervisor of "Hand Gesture Recognition using Deep Convolutional and Recurrent Neural Networks" By Fallah Obaid. 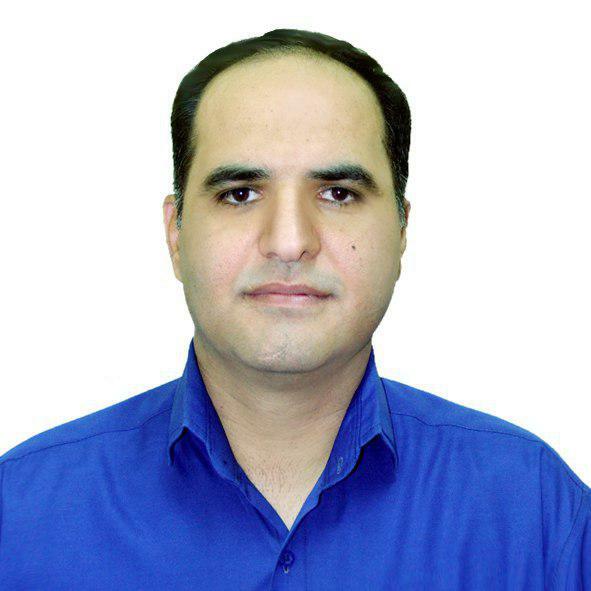 Advisor: Amin Babadi. Professional Programming on Linux, Window and DOS on different kind of computers including personal computers and small computers like Raspberry and NanoPi. Beginner programming on Android and IBM370. Reading, listening and watching several kinds of books, magazines, documentaries in very different areas including society, religion, psychology, philosophy, history, politics.